All the agents like to go casual in their off hours by wearing this Avengers Agents of S.H.I.E.L.D. 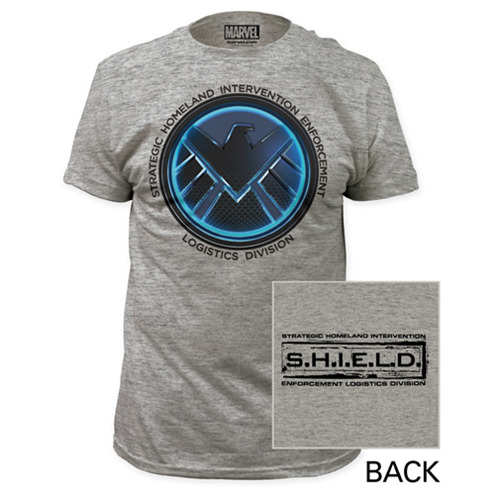 Gray T-Shirt showing the TV series agency's emblem on the front, with the S.H.I.E.L.D. logo on the back. You should join them! The shirt comes in sizes S, M, L, XL, and XXL.